The attorneys at Slappey & Sadd are experienced medical malpractice attorneys who have a long history of representing women whose children are born with birth defects. 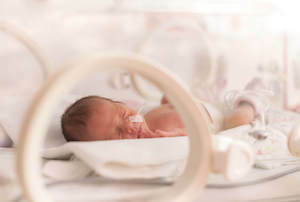 If it turns out that the baby’s birth defect or subsequent medical condition was caused by a doctor’s failure to diagnose it, the doctor may be liable for the injury. If you believe that your baby’s birth defect could have been prevented with proper diagnosis, we will fight to help you obtain the compensation you deserve. We serve the entire state of Georgia, including Atlanta, Roswell, and Sandy Springs. Failure to diagnose is a form of medical malpractice that occurs when a doctor’s failure to correctly diagnose a patient’s illness results in injury to the patient. As a result of failure to diagnose, the patient does not get necessary medical care or treatment and thus suffers a more serious illness, injury, or even death. Occasionally, failure to diagnose can also include a doctor’s failure to spot a birth defect during pregnancy that causes the birth defect to present more serious future health-issues for the child than if the doctor had spotted and treated the birth defect earlier. Maternal blood screen: This test measures the levels of certain proteins in the mother’s blood. If the protein levels are abnormally high or low, the baby could have a chromosomal disorder. Ultrasound: An ultrasound takes pictures of the baby and can detect the presence of extra fluid behind the baby’s neck. If the ultrasound discovers increased fluid, the baby could have a chromosomal disorder or heart defect. Maternal Serum Screen: A maternal serum screen is a simple blood test that’s used to identify whether a woman is at increased risk for having a baby with certain birth defects, including neural tube defects or chromosomal disorders, such as Down Syndrome. Anomaly ultrasound: This is a specific ultrasound that is performed later in the pregnancy to check the baby’s size and to look for birth defects or other health issues. Any of these screening tests can occasionally provide abnormal results even when there is nothing wrong with the mother or her baby. Alternatively, screening tests can provide normal results even if there is an existing problem. The doctor owed you and your baby a legal duty of care. This duty requires that the doctor have the medical knowledge and skills required of a reasonably competent physician who practices the same type of medicine. The doctor breached that duty, which can be illustrated by a mistake such as failing to timely diagnose a birth defect. Your baby suffered some type of harm or injury, which can be shown by the existence of a birth defect or subsequent injury or by the worsening of the birth defect. The doctor's mistake caused your baby’s injury or harm—that is, the harm would not have occurred but for the doctor’s error. If you believe that your baby’s birth defect or subsequent medical condition was caused by your doctor’s failure to diagnose, it’s a good idea to have an Atlanta medical malpractice attorney review your case.